The accessory that makes the outfit. 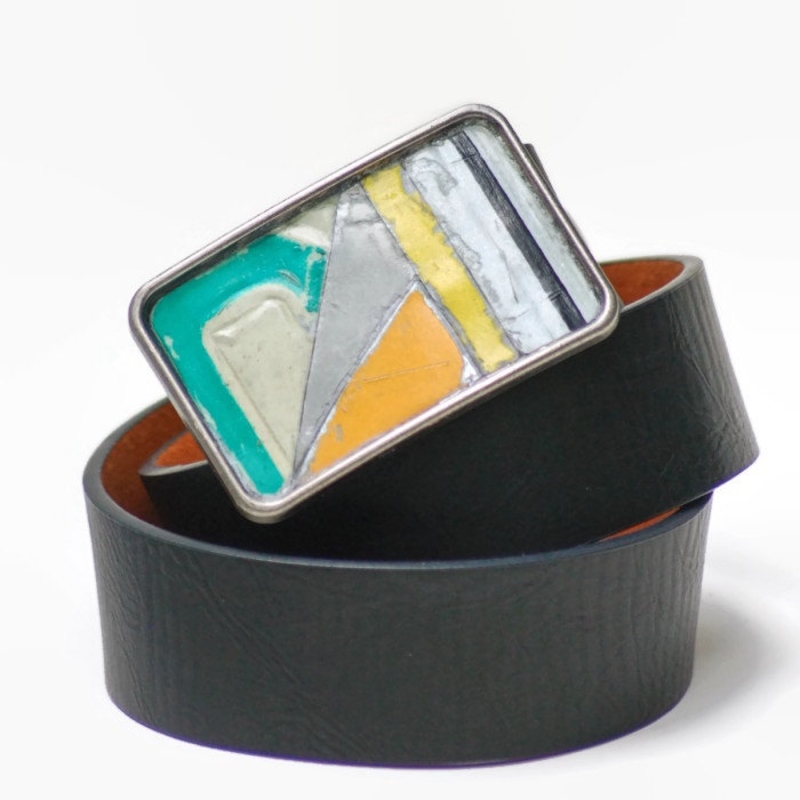 A signed and numbered one of a kind art buckle. Be bold! 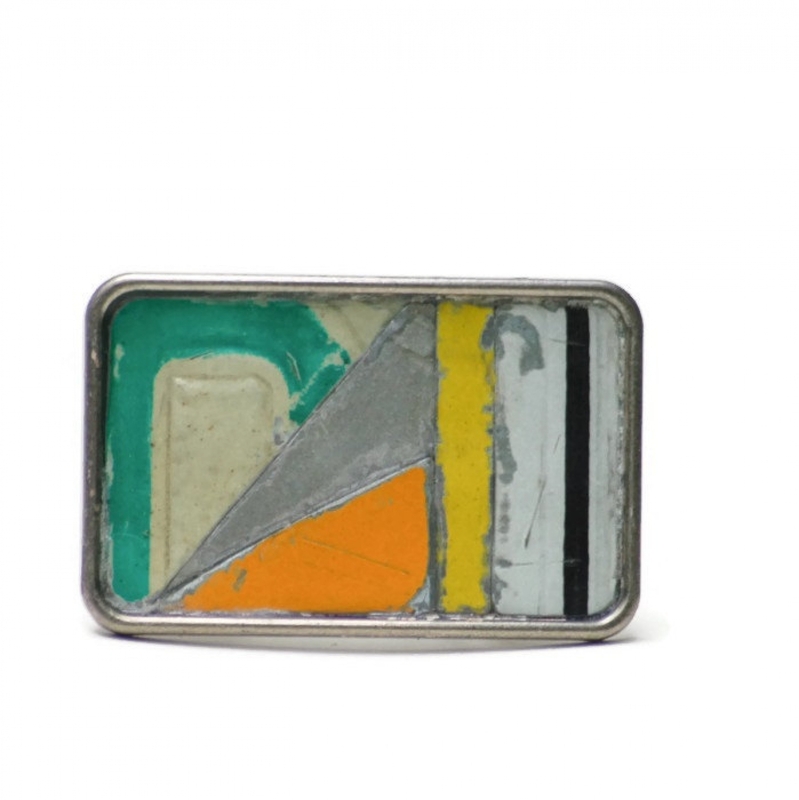 This colorful mosaic-like silver belt buckle is inlaid with 'tiles' of recycled license plate metal found in dusty attics, barns and at auctions. 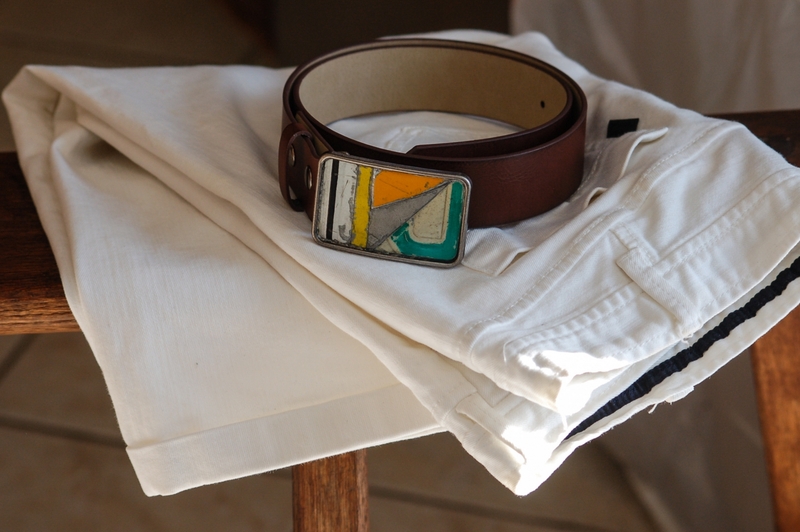 The metal pieces are measured, cut, hammered, and filed to create a unique, and distressed style buckle. 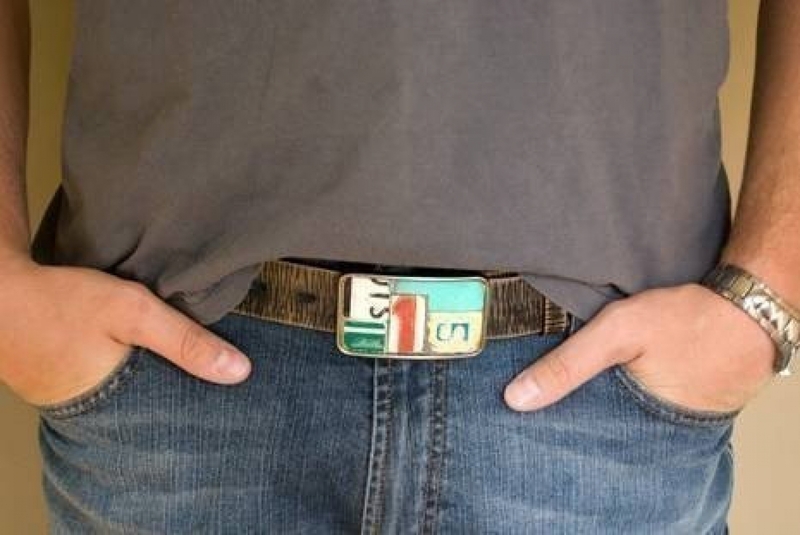 Each bit of license plate edge is filed and sanded before being artfully arranged, and cemented into place on the buckle. As a final step the buckles are hand waxed, and buffed, multiple times, to preserve their beauty.